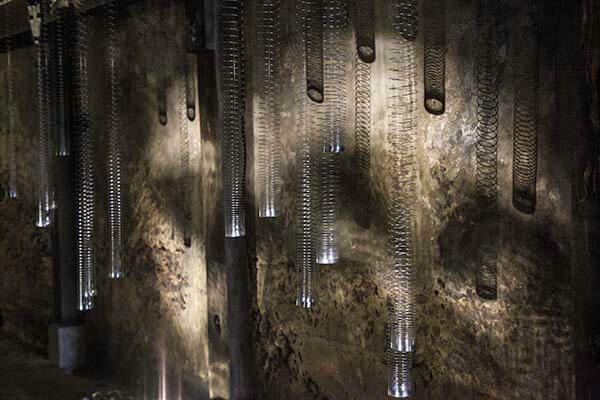 echosonar is an immersive acoustic installation that explores echolocation phenomena by reproducing a bio sonar navigation and foraging system that bats use to sense their habitat and locate prey. 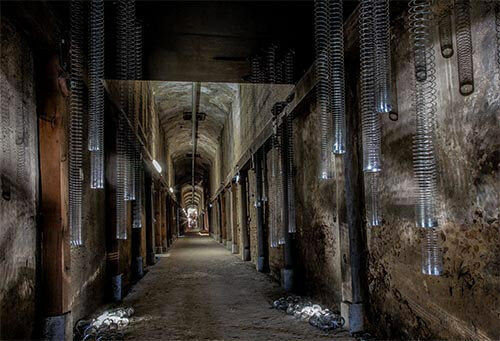 echosonar is inspired by a protected species of microbats, the Miniopterus scheibersii oceanensis or Eastern Ben-wing Bat, that roosts on the ceiling of Tunnel 4, one of the Coal Loader tunnels at Waverton. The microbats make an invaluable environmental contribution to the surrounding habitat by monitoring insect populations. The microbats locate their prey by emitting ultrasonic calls and responding to the returning echo that bounces off insects and other solid forms. 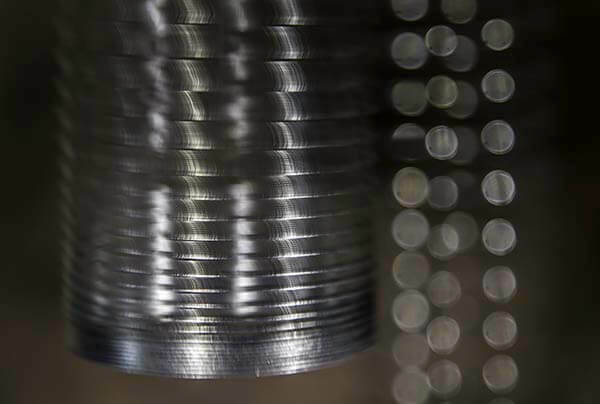 echosonar senses the surrounding tunnel space by responding to the environment and to the presence of vibrant, lightweight, solid objects made of resonant material, such as metallic Slinky springs and magnets. Bass and parametric speakers are used to transmit digitally manipulated recordings of microbats and various low acoustic frequencies to reproduce an echolocation experience. When the acoustic beams encounter the solid surface of the placed objects, they bounce back and emit an individual vibration. The perceived sound appears to be coming solely from the physical objects themselves. 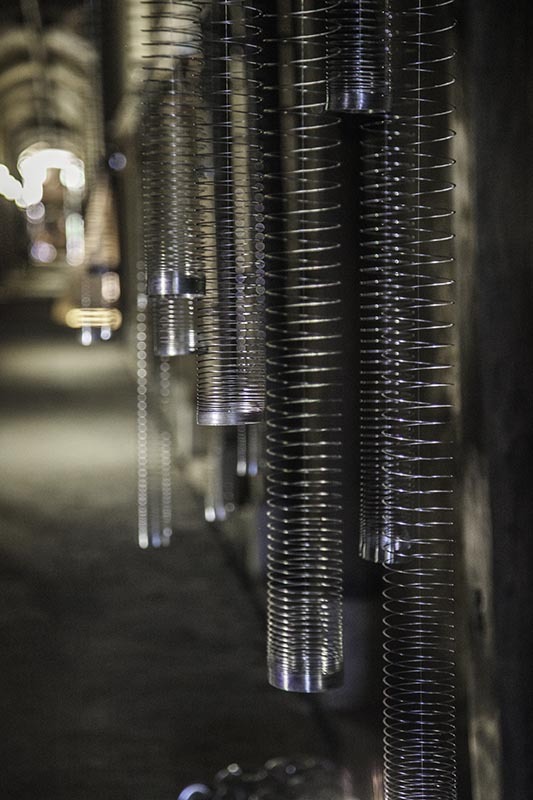 While walking through the space, the viewer is invited to echolocate the environment by listening for the reflected sounds that are subtly emanating from the quivering placed objects. The overall experience becomes a constantly changing soundscape transmitted externally as subtle waves into human ears or internally as bodily perceived sound when the participants cross through the acoustic beams. By exploring and communicating with the environment on a deeper level like bats do, the participants can discover and activate new senses, such as auditory and visual information processed as internal and external sonic waves. Everybody can become a participant and portal of this acoustic wonder. With echosonar, Ferracin explores the ways in which the natural environment increasingly exhibits its own material agency, which plays an important role in the eco-sustainability of the planet. 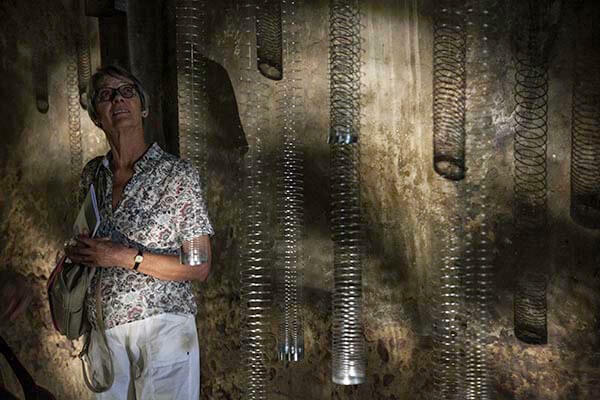 Ferracin’s artworks activate phenomenological experiences and expand environmental awareness while also providing an opportunity for reflection on what it means to be a sentient being in the 21st century.